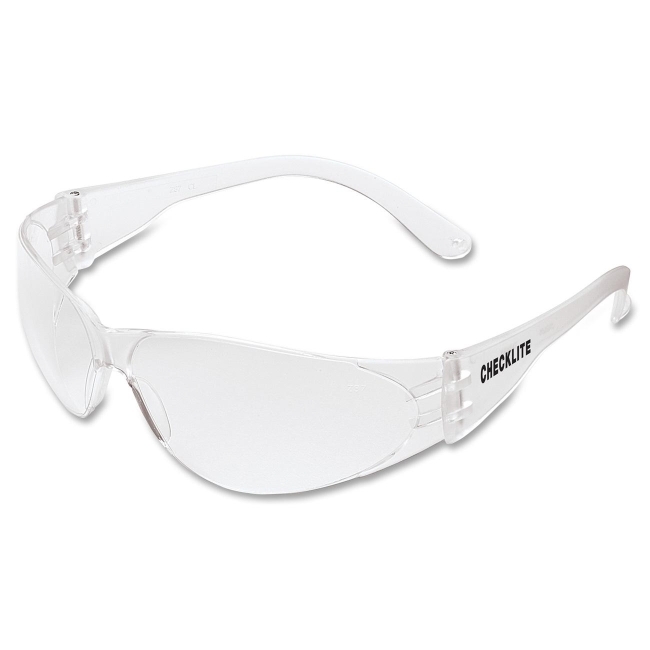 Stylish Checklite Clear Antifog Safety Glasses offer exclusive Duramass scratch-resistant lens coating and flexible spatula temple design for a comfortable fit during long use. Near total seal of eye orbit assures the highest level of protection. Strong, lightweight polycarbonate lens filters out over 99.9 percent of UV radiation. Universal nose bridge assures compliance and comfort for a variety of users.